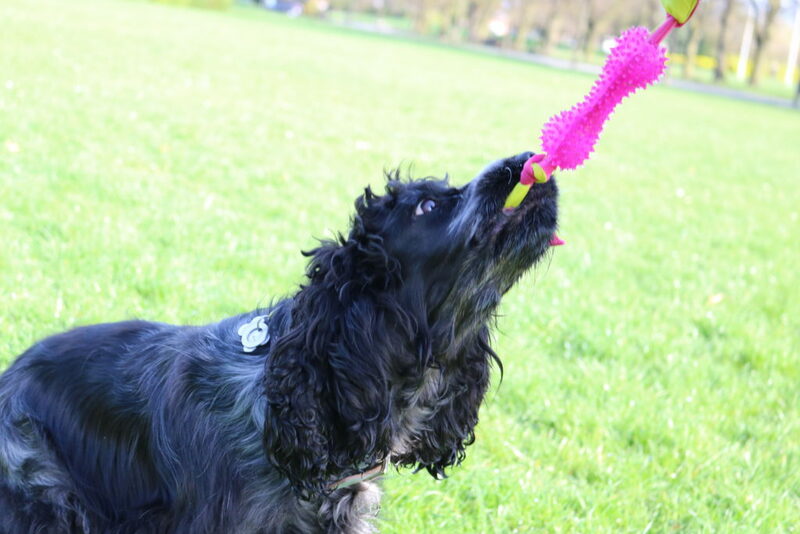 Maya is a high energy cocker spaniel and I am constantly looking for things to keep her entertained and stimulated, so when Pawsome Box kindly offered to send us a box to review I jumped at the chance. 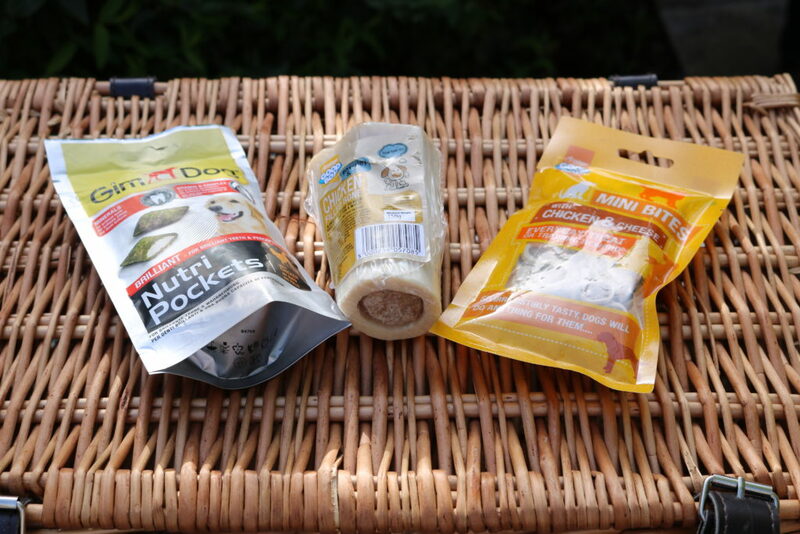 Pawsome box is a monthly dog subsciption box, that consists of 5 or 6 different items (which could be toys, treats, accessories or hygiene care products) selected according to your dogs profile. As well as being such a convenient way to shop for treats, it also saves you money as the contents of the box are worth significantly more than the subscription price. 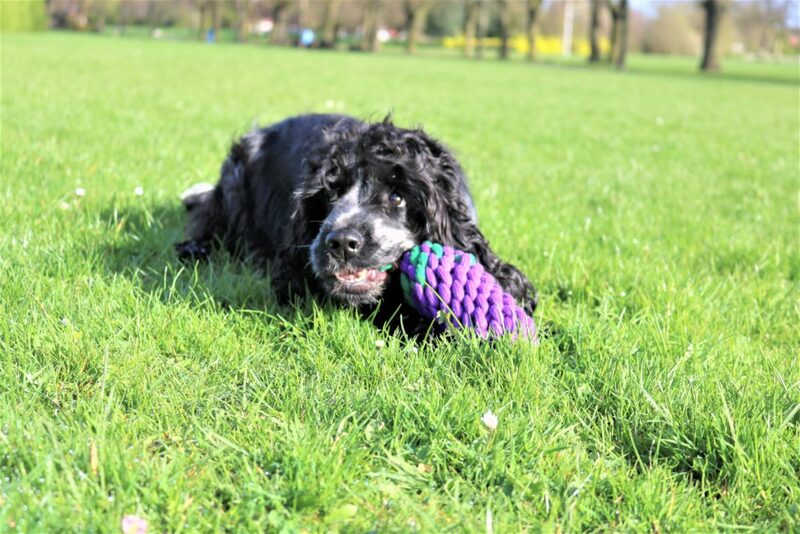 Another fabulous thing about treating your canine to a Pawsome Box is that it is bound to contain treats and toys you may never have chosen but find that your pooch loves and adores, as of course was the case with me and Maya! Maya was bouncing off the walls with excitement when the box was delivered. I guess she could smell the yummy treats and knew it was for her. The box itself was cute with lovely paw print tissue paper and I loved how bright and vibrant the contents were. Maya couldn’t wait to get stuck in and sniff out the contents. I was curious to see which item Maya herself would find most interesting (of course I thought food as she is, well a bit greedy!) but out of the box first came the Eurosiam Rubber Bone. This chew toy was a great hit with Maya and she loves playing tug with it as well as using it in a game of fetch and giving it a good chew. 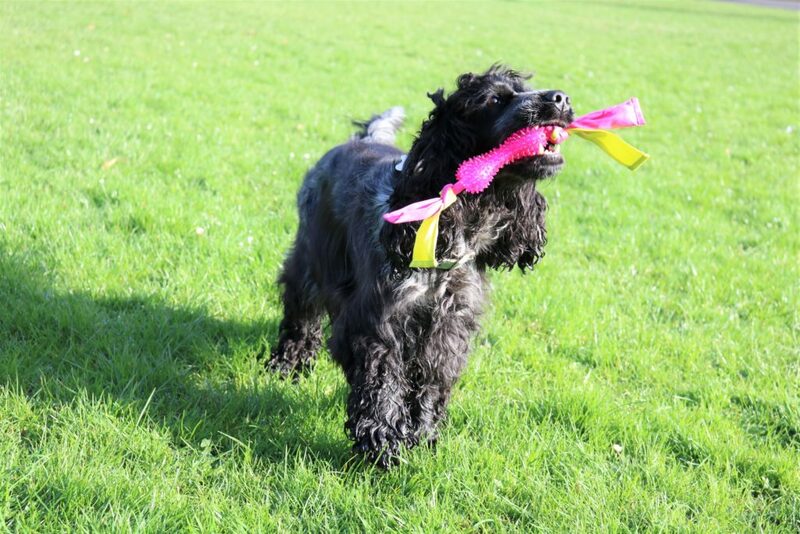 It is actually remarkably strong and is her favourite toy at the moment. Perhaps my favourite item was the Trixie Absorbent Dog Towel. 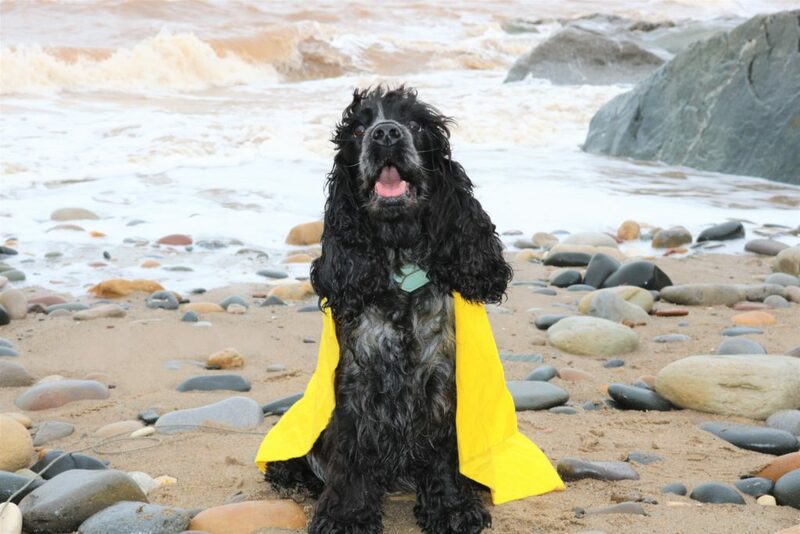 Maya is always getting wet and muddy on walks, and this is just pawfect, measuring just 50 x 60cm it is super absorbent and easily fits in your handbag or in my case little rucksack. A really handy item and fabulous for whipping out and drying spaniel ears, if you have a long eared dog like Maya that insists on drinking from every available dog bowl you’ll know what I mean! Finally there was a selection of treats. Now even though Maya is a raw fed dog she has tried all sorts of treats for training purposes. I like to mix them up a bit to maintain her interest and she is always so enthusiastic to earn a new type of treat! I loved the look of the Chicken & Cheese flavoured Good Boy mini bites. (although I didn’t taste one myself) Just the right size and Maya found them delicious as well. The Chicken GimDog Nutri Pockets also got Maya’s paw of approval and I loved that they contained minerals and vitamins too. The Good Boy’s chicken filled bone was eagerly taken by Maya into the garden, and after having a good few chews on the bone and removing the yummy filling she buried it in the garden. Who knows when, if ever it will resurface! I also really enjoyed the micro magazine, Paw notes, included with the box there were so many adorable pooches on the back cover whose owners had indulged them in a Pawsome Box. It’s admirable too that the company donates £1 from every 2 boxes delivered to local animal charities or associations. 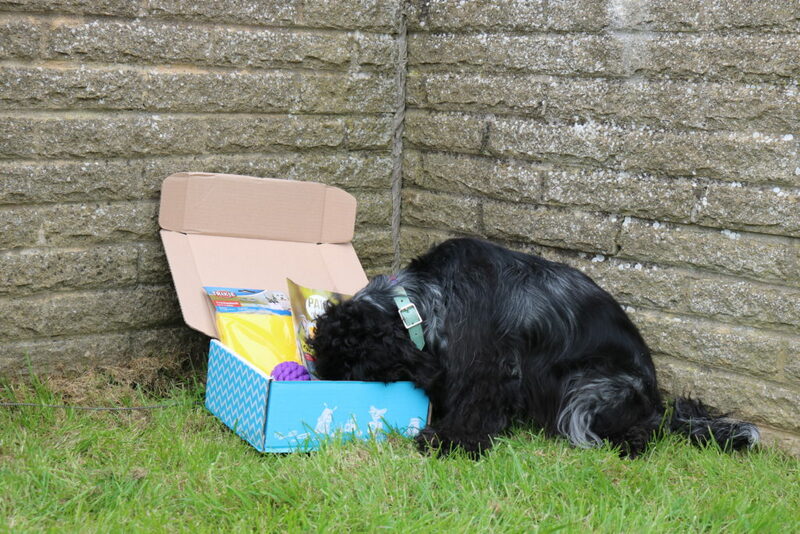 If you want to treat your dog I can think of no better way than a monthly box, it really is the pawfect present for friends that have dogs too. There’s no risk either and you can sign up for 1, 3, 6 or 12 months and cancel whenever you want. Subscriptions start at just £15.90 and your cat doesn’t need to feel left out – the company do a Purrfect Box too! 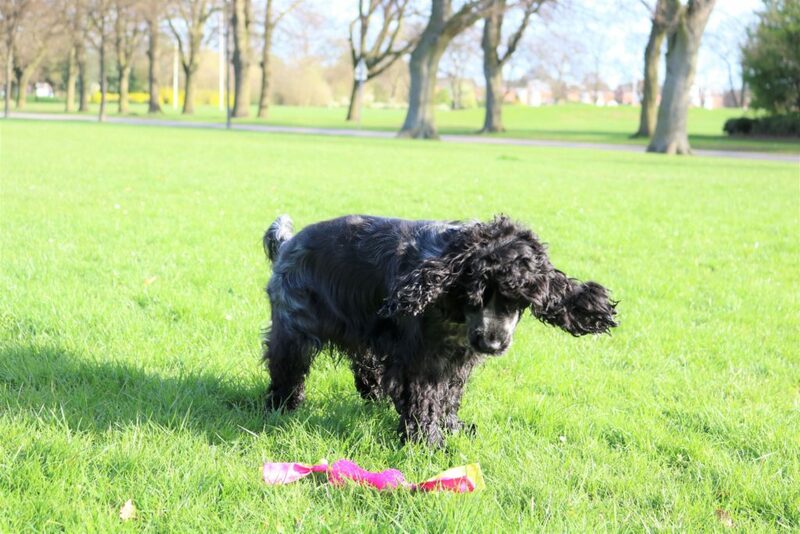 Have a little look at the Pawsome Box Site and see what you think, you can get £5 off your first box using my exclusive discount code ukb4kbmp . Hope you are all enjoying this lovely spring weather we are having, remember I love your comments and feedback. Have fun friends. I would like to thank Emma at https://pawsomebox.co.uk/ for sending us a complimentary box to review. 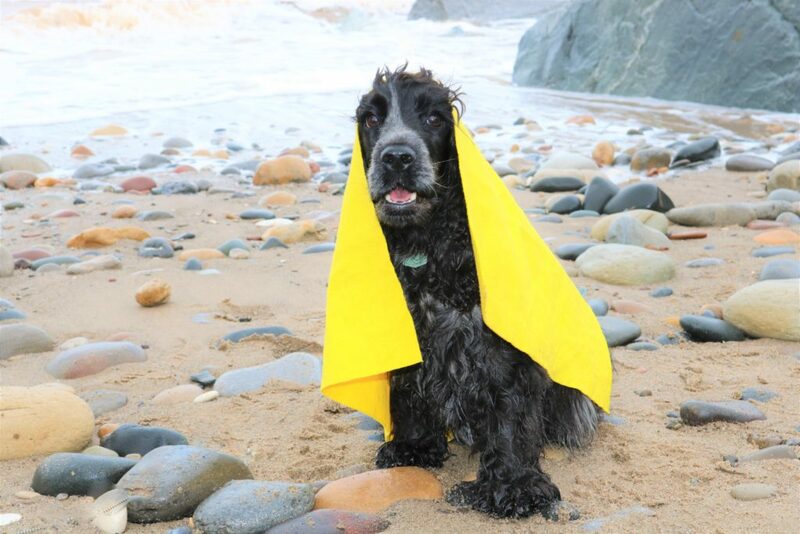 Such a lovely read – I just love the towel photos! 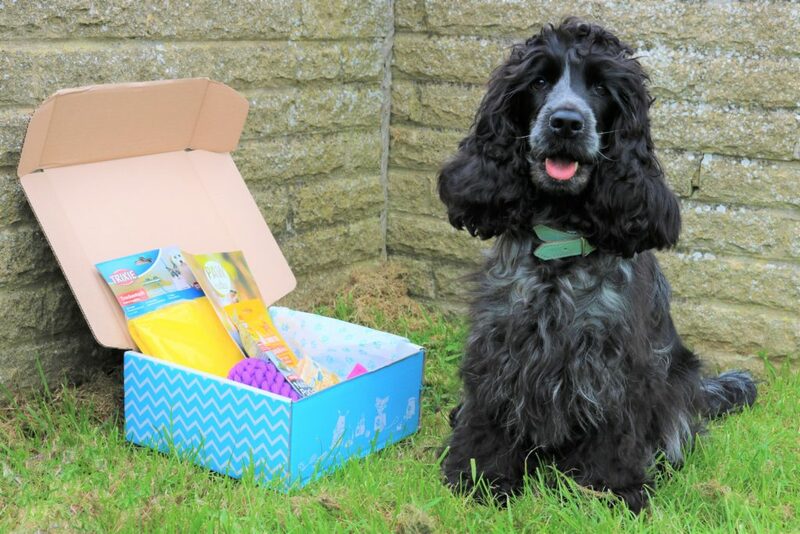 Looks a great box, perfect for keeping a crazy spaniel entertained!